How big can you grow your contact list? Compete with your friends and climb to the top of the leaderboard, and you could win prizes! Stand to win prizes worth over S$60,000! With more than 1,000 prizes ranging from S$50 to S$1,500 in travel e-vouchers from ZUJI, almost everyone has a chance to win something! 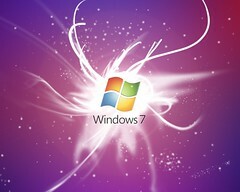 Every purchase of any Windows 7 software retail box or a customer built PC installed with Windows 7 is eligible to enter the Windows 7 lucky draw to win a Digital Home Makeover worth $7,777. The package includes everything you need to enjoy real home entertainment, from a huge flat screen TV, an XBOX 360 with games and more. Send a video of why you should be one of 7 lucky individuals to get a new Windows 7 small notebook PC and your wish may come true! Microsoft Security Essentials is a free download from Microsoft that is simple to install, easy to use, and always kept up to date so you can be assured your PC is protected by the latest technology. It’s easy to tell if your PC is secure — when you’re green, you’re good. It’s that simple. Microsoft Security Essentials runs quietly and efficiently in the background so that you are free to use your Windows-based PC the way you want—without interruptions or long computer wait times. Recuva (pronounced “recover”) is a freeware Windows utility to restore files that have been accidentally deleted from your computer. This includes files emptied from the Recycle bin as well as images and other files that have been deleted by user error from digital camera memory cards or MP3 players. It will even bring back files that have been deleted by bugs, crashes and viruses! Service Pack 2 provides the latest updates to the 2007 Microsoft Office suite. Download it here. There are loads of free screen capture tools, but this is not another cheesy, spreadsheet-looking one. This one offers directness, ease of use, and does it with style.